HOUSTON (CN) – Five former Venezuelan government officials were charged with a money-laundering scam in which they are accused of taking bribes from U.S. companies to facilitate contracts with Venezuela’s state oil company, according to a federal indictment unsealed Monday. The U.S. Justice Department says it has now charged 15 people, 10 of whom have pleaded guilty, as part of its investigation of bribery at Petroleos de Venezuela S.A., or PDVSA, the Venezuelan state-owned oil and gas company that controls Houston-based oil refiner Citgo. Prosecutors say they are working with Spanish officials on the case, as Spanish authorities arrested four of the men – Luis Carlos De Leon Perez, 41, Nervis Gerardo Villalobos Cardenas, 50, Cesar David Rincon Godoy, 50, and Rafael Ernesto Reiter Munoz, 39 – in Spain last October. The men were arrested on warrants that came from a 20-count indictment a federal grand jury issued in the Southern District of Texas last August. Rincon was extradited from Spain on Feb. 9 and made his initial appearance Monday before U.S. Magistrate Judge Stephen Smith in Houston federal court. De Leon, Villalobos and Reiter are in Spanish custody pending extradition, according to the Justice Department. The fifth defendant, Alejandro Isturiz Chiesa, 33, is still at large, federal prosecutors said. The indictment says that the five men, all Venezuelan citizens, were either PDVSA officials or officials of other government agencies that worked with PDVSA. They were called the “management team” for their substantial clout within PDVSA, according to the office of Houston U.S. Attorney Ryan Patrick. The management team allegedly conspired to solicit bribes and kickbacks from PDVSA vendors, some of whom were U.S. residents and owned U.S. companies, in return for steering PDVSA contracts to the vendors. The indictment states that the defendants then laundered the bribery money “through various complex financial transactions,” including through bank accounts in the United States. The management team also allegedly laundered some of the money through real estate in the United States, and De Leon is accused of opening a Swiss bank account to which two PDVSA vendors wired more than $27 million in bribe payments. That money was then transferred to other accounts in Switzerland, prosecutors say. 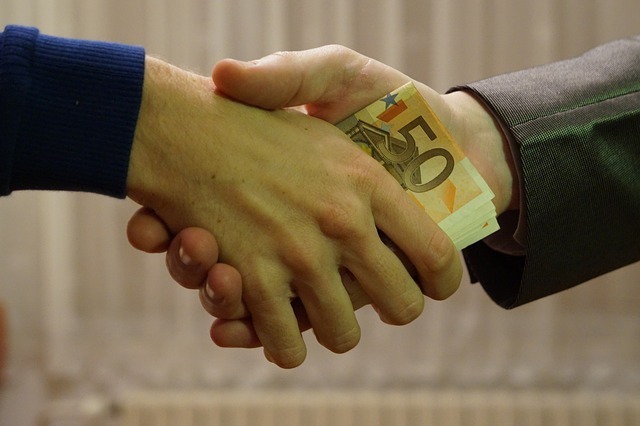 The two vendors – Robert Enrique Rincon Fernandez, 57, of The Woodlands, Texas and Abraham Jose Shiera Bastidas, 54, of Coral Gables, Fla. – have pleaded guilty to Foreign Corrupt Practices Act charges for bribing PDVSA officials. They have yet to be sentenced. The five men whose indictment was unsealed Monday all face charges of money laundering and conspiracy to commit money laundering. De Leon and Villalobos were each also charged with one count of conspiracy to violate the Foreign Corrupt Practices Act. PDVSA recently had a shakeup at the top last November when Venezuela President Nicolas Maduro installed Maj. Gen. Manuel Quevedo as CEO and appointed Asdrubal Chavez, a cousin of the late Venezuelan socialist dictator Hugo Chavez, to help lead the company. Venezuela’s chief prosecutor on Jan. 25 ordered the arrest of Rafael Ramirez, PDVSA’s former president, on suspicion of embezzlement and money laundering, the Houston Chronicle reported. Citgo executives have also been caught up in the growing PDVSA scandal. Citgo’s acting president and five company executives were detained in Venezuela in November for their alleged involvement in Ramirez’s embezzlement scam, according to the Chronicle. Hugo Chavez mentored Maduro, his hand-picked successor, before succumbing to cancer in 2013. Though Venezuela has the world’s largest oil reserves, its economy has tanked under Maduro, with food and medicine in short supply and inflation so severe that some residents cannot afford a bag of rice with their weekly pay. The turmoil has reportedly led thousands of Venezuelans to cross the border into Columbia. It is estimated that 600,000 Venezuelans now live in Columbia.